After a great opening with more than 250 visitors and a fantastic reading event attended by 160 people, the exhibition is open and part of the 32nd Literature Festival in Weiden i.d. Oberpfalz, Germany, from 31st March – 05th May 2017. The next location of the travelling exhibition will be in Germany again! The crates with the travelling exhibition have arrived in Weiden i.d. Oberpfalz, Germany. The exhibition will open and be part of the 32nd Literature Festival in town (31st March – 05th May 2017). The literary picture book project will add oral literature and Afro-Arab wisdom to the range of books presented at the festival. This event will take place in one of my homes: here is where I grew up in Germany. Another two copies of the Gold Edition leave today en route to the Netherlands. The oversized SAND IN MY EYES, Sudanese Moments GOLD EDITION is an exhibition piece each, attracting people to gather around just as traditional narratives gather folks in Sudan: (225 x 345 mm, HC, gold-foil stamped, signed and numbered limited collector’s edition of 50 copies ONLY worldwide, 6kg). It was printed with care and a lot of manual work in a fine family run print shop in Europe, (published in 2015), and entails a large 300 x 450 mm high quality photo print you can select from three previously unpublished images. You can see these 3 images, and read more about these collectibles that make a special gift, on the website. The display of the images & spoken word from Sudan in Rome, at MAXXI, 19.10.2016 – 06.11.2016, will be accompanied by presentations to students and the following exciting events! Next stop: The eternal city Rome! In acknowledgement of the work, ICCROM, the International Centre for the Study of the Preservation and Restoration of Cultural Property honours SAND IN MY EYES, Sudanese Moments with their partnership in this. For the flyer, dates and side events please check the facebook group, sign up for the newsletter here on the website, or email me. 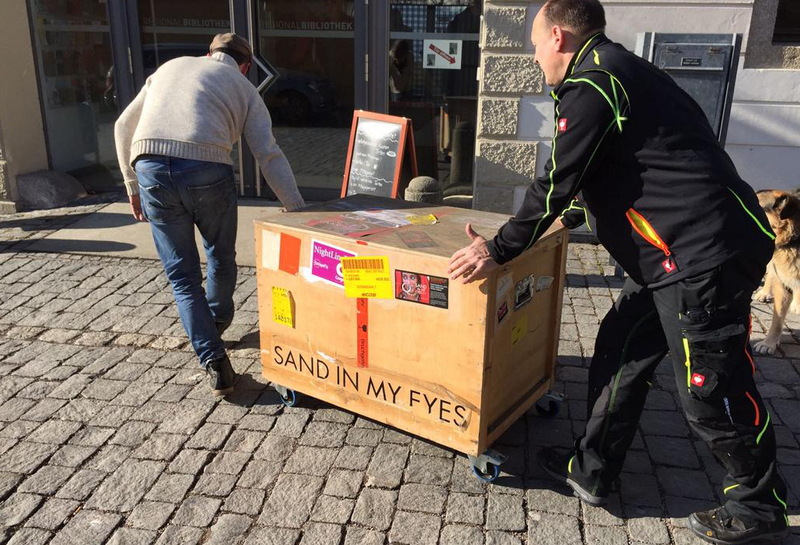 The SAND IN MY EYES travelling exhibition has been selected to be displayed at The Palace of Nations in Geneva, the UN Headquarters in Switzerland. In the historic building that is inextricably linked to the history of the UN and the League of Nations and overlooks Lake Geneva and the French Alps, we will soon display Sudanese warmth, humanity, beauty and wisdom. In the “Salle des Pas Perdus”, 17.06.2016 – 08.07.2016. Further details coming soon here. 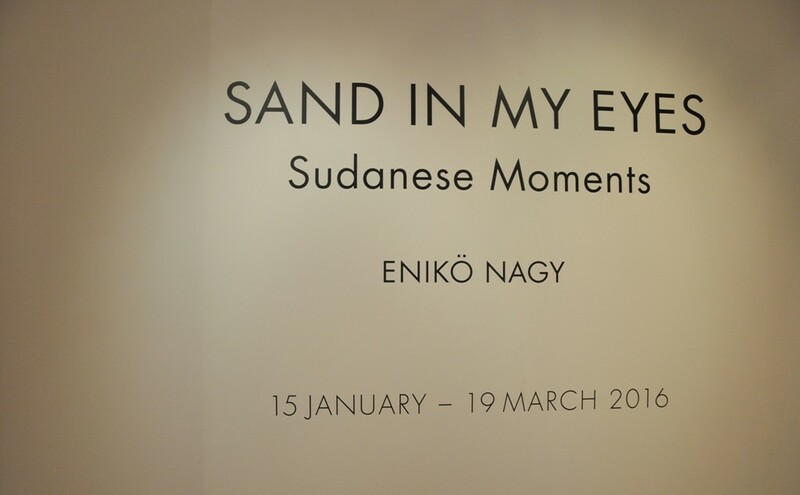 SAND IN MY EYES: Sudanese Moments is going to Hungary! Come visit beautiful Budapest and see the travelling exhibition (04–30 May 2016), with film screening, bilingual reading of traditional narratives from Sudan in Arabic and Hungarian, and join a guided tour through the exhibition, at the “National Library of Foreign Literature” (Országos Idegennyelvű Könyvtár, Molnár utca 11, Budapest). Exhibition texts in Arabic, English and Hungarian. See Sudanese ceremonies, habits, language, features, colours and wisdom in this charming 115 years old historic building offering fiction, science, minority studies – 400.000 documents in 148 languages – and world music, to students and lovers of literature. Who is around in Budapest for this event? After a long time in the making, it is now out: the dynamic and expert team at Glutrot GmbH spent many months tailoring a website to the spirit of SAND IN MY EYES. The aim was to create a space that shares the experience with a wider audience, gathers likeminded people, and invites those from far to join the virtual journey and follow the project. With this passionate act, Glutrot GmbH joins the crowd of experts who donated their work to the project. Check out their statement! We hope that mindfulness of such living expressions of intangible heritage shaping one’s complex culture, identity and beauty will enable people to discover others through the beauty in them. A good year after “Sand in My Eyes, Sudanese Moments” was published, a very special limited edition is made available now! The luxurious GOLD EDITION is a profound, voluptuous and rare experience: 225 x 345 mm, HC, gold-foil stamped, signed and numbered limited collector’s edition of 50 copies ONLY, available only via reservation through this website. Printed with care in a fine family run print shop in Europe, this gem weighs 6kg and was just published in 2015. It includes a large 300 x 450 mm photograph that comes as a high quality photo print, on brand-name matte photo paper, and in matte laminated finishing, ensuring the finest image detail and tonality. You can select your moment for your home or work place from three previously unpublished images. You’ll find a description of the scene in your package. London – Exhibition opens tomorrow!